Who Is Looking Out For Your Religious Freedoms? While religious liberty is guaranteed by the Constitution, every year new laws narrow the reality of those freedoms. Federal and state agencies pass rules without much oversight. Elected representatives propose legislation that benefits targeted groups while Christians are marginalized. So much for the security our Constitution has always provided! The fact is that organizations spend significant sums to ensure that laws aren’t passed that hurt their interests. Look at this chart. The healthcare industry is listed multiple times! Even government employees spend tens of millions annually, lobbying their own employer! How much is being spent to ensure your religious freedoms are protected? Not much. So where is the best place to focus our energies to ensure our religious freedoms aren’t marginalized? The judiciary is politicized and activist judges are less likely to protect the Constitution. That means focusing on the bill creation process as the best place to get results. That is where the American Religious Liberty Institute comes in. We are your one stop shop for information and action for your religious freedom. We search all pending legislation for the feds as well as all 50 states. In addition, we crowdsource agencies, counties and cities for problems. Once a problem is identified, we’ll guide you through the process of getting your opinion in front of your elected representatives. Sign up for our mailing list so you are the first to get action alerts. Tell your friends about us too. We want every person who believes in religious freedom to be active on this service. God bless you and God bless the USA. 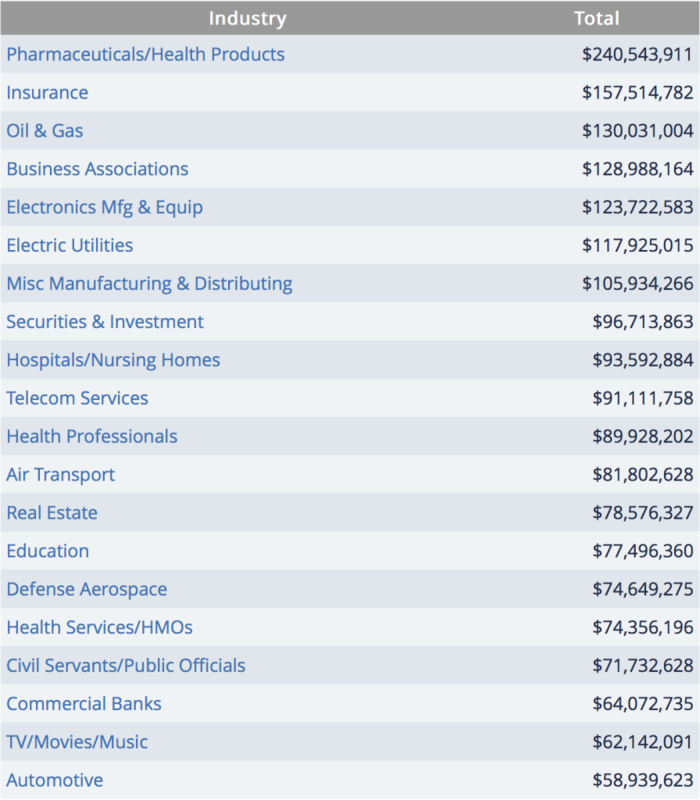 Federal lobbying expenditures for 2015 from the Center for Responsive Politics.